Los Angeles, CA – May 8, 2014: In celebration of Occupational Therapy Month, Habitat for Humanity of Greater Los Angeles (Habitat LA) announced a new partnership with the Occupational Therapy Association of California (OTAC). Through this partnership, OTAC volunteers will assess the homes of disabled homeowners, with a focus on veterans, who apply for Habitat LA’s Home Repair program. Recommendations will be given to Habitat LA to ensure disabled homeowners receive adequate equipment to improve accessibility. Together, OTAC and Habitat LA hope to help disabled partner homeowners live their lives to the fullest. OTAC volunteers celebrated the partnership by spending the day performing much-needed repairs on the home of Clifton Walker, a disabled veteran in Inglewood. Mr.
Los Angeles, CA – December 20, 2013: Fans of the long-running, ABC daytime drama, General Hospital will once again have the opportunity to spend a day building a Habitat for Humanity home with their favorite cast members. 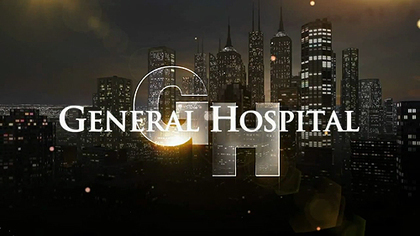 The 5th Annual General Hospital Fan Build has been announced for Saturday, March 8, 2014 in Los Angeles. Habitat for Humanity of Greater Los Angeles (HFH GLA) will host the 5th Annual General Hospital Fan Build as part of its entertainment partnership program, Hollywood for Habitat for Humanity (HFHFH). Fans may register online here for one of 20 build spots available this year. The minimum donation is $275, and 100 percent of the proceeds help HFH GLA build more homes for hardworking, low-income families and individuals in the greater Los Angeles area. Los Angeles, CA – November 26, 2012: The need for affordable housing brought together volunteers from the faith traditions of Baha’i, Buddhism, Christianity, Hinduism, Islam, Judaism, the Religious Society of Friends and Unitarian Universalism for the first Interfaith Build Week in Habitat for Humanity of Greater L.A.’s (HFH GLA) history. Volunteers from eight faith traditions built alongside each other November 14-17th to complete renovation projects on two homes being rehabilitated in Lynwood, which will be sold to qualified, low-income families. Faith leaders from greater Los Angeles emphasized the importance of setting aside differences in order to build hope, lives and communities in partnership with Habitat for Humanity. “So many rich faith traditions exist in the communities we serve here in greater Los Angeles,” said Erin Rank, President/CEO of HFH GLA.